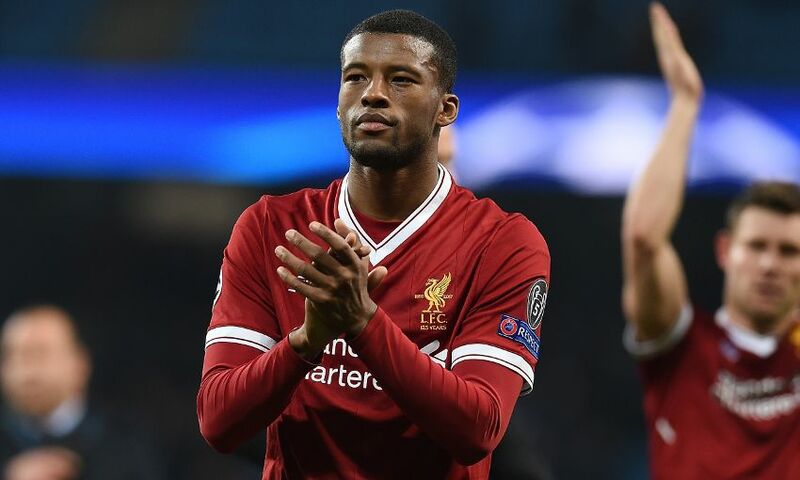 The manner of their Champions League triumph over Manchester City has Georginio Wijnaldum and his Liverpool teammates brimming with confidence for what is to come. Two minutes into the second leg of the Premier League rivals’ quarter-final, the home side struck through Gabriel Jesus to begin what they hoped would be a huge comeback from a 3-0 deficit. But the Reds rallied and instead the turnaround was theirs, with Mohamed Salah and Roberto Firmino the men on target after the break to win both the match and the tie in stunning style. “It’s what we worked for. After we knew we had to play against Manchester City we worked to go through to the next round, we’ve made the next round now and it’s a really good feeling,” Wijnaldum told Liverpoolfc.com. “We have a lot of confidence now, especially with how we finished this game coming from 1-0 behind. “It gives us a lot of confidence when you play against a team like Manchester City, who win a lot of their games at home and are a good football-playing team. Liverpool were besieged straight from kick-off at Etihad Stadium and the second-minute opener from Jesus visibly filled Pep Guardiola’s team with belief that the fightback was a possibility. Bernardo Silva hit the post and Leroy Sane had a goal contentiously disallowed as the Reds struggled to emerge from their own half and adequately serve the front three. A first hint of a change in the game came when, moments before half-time, Firmino and Salah led a counter-attack that ended with Alex Oxlade-Chamberlain rounding the goalkeeper but firing off target. And the tactical tweaks administered at the interval paved the way for the Reds to take control of the match and seal qualification for the Champions League semi-finals in commanding fashion. “They played good football, their counter-pressing was good, they were good in the duels and they won a lot of second balls. That made it easier for them in the game and it also helped them that they scored the goal in the first two minutes,” explained Wijnaldum. “We didn’t play well in the first half. We only hit the ball long to the front players so we made it more difficult for ourselves. You saw in the second half we tried to play football and when we did we created chances.